Mike Warren is a nationally known author, investor, and instructor specialising in investing in judgments and liens which are secured by real estate. Mr. Warren holds a double MBA in real estate and finance and is CEO of a diversified investment and consulting firm. Mr. Warren started in the business of collecting judgments and liens many years ago when he was presented with the opportunity to buy a judgment attached to an investment property for $1,000. What resulted would forever change his financial future. He very quickly was able to collect on the judgment making an astounding $7500 profit without the assistance of an attorney! This simple investment opened the doors to a wealth of opportunities. 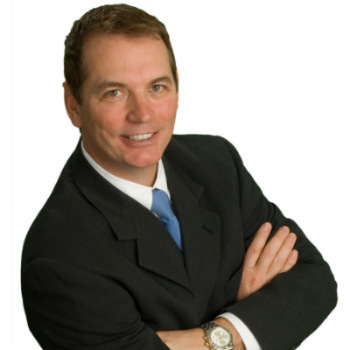 Mike Warren is a real estate investor who is an expert in the field of judgments & paper investing. Mike is the founder of misuniversity.com; a website dedicated to teaching wealth principles one student at a time. Mr. Warren has authored several books and has appeared on radio and TV. He speaks to both small and large groups internationally and throughout the United States. Mr. Warren is also co-host of the popular radio show “Millionaire Smackdown”. Over the past 15 years, Mike has been a real estate speaker and has spoken to real estate associations, landlording groups, investment clubs and been on stage with some of the biggest names in the business like Donald Trump, Rudy Giuliani, Robert Kiyosaki, Sir Richard Branson and many more. Mr. Warren has personally taught thousands of individual investors, real estate agents and mortgage brokers how to profit from the unique world of judgments and liens and paper investing. He holds specialized hands-on intensive three day “Bootcamps” which teach investors advanced strategies of making money from varying types of bad-debts. Ohio – OREIA, Vena Jones Cox.